Square Enix recently released a new trailer for their upcoming title, Lightning Returns: Final Fantasy XIII. 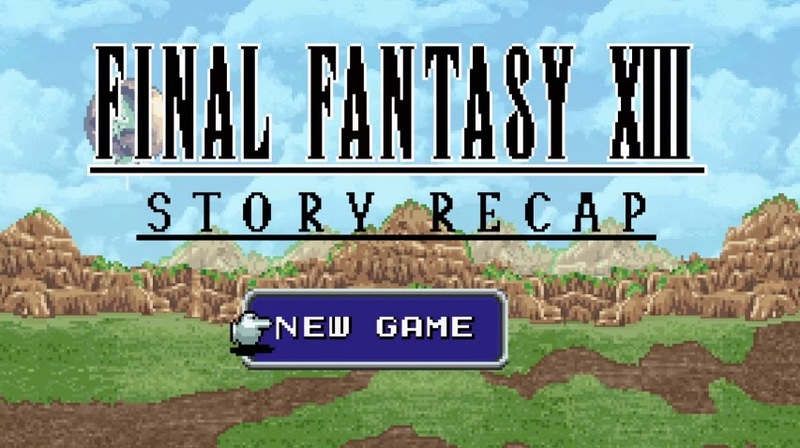 The new video takes a look a the story behind the thirteenth iteration of Final Fantasy as its so big, that it needed three game to be told! In this 8 bit retelling, we are taken on a journey that starts at the beginning of Final Fantasy XIII, where a rag tag group of heroes band together to defy destiny and save the world, all the way to a sneak peek at the upcoming game.